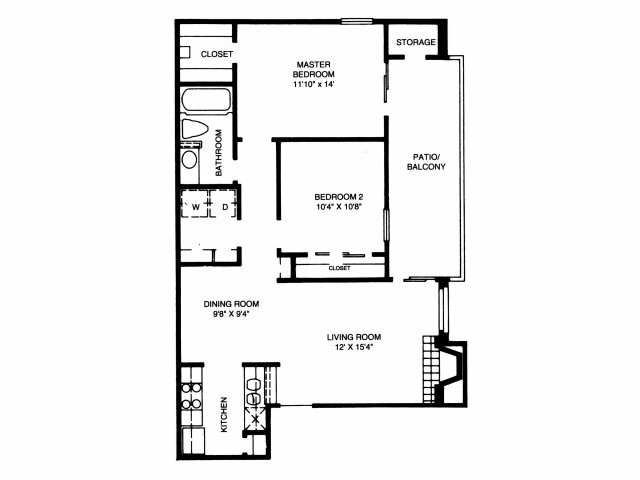 This floorplan welcomes you into the large living room with corner fireplace. Off the living room is a separate dining room and galley kitchen. The home is complete with a private patio/balcony, two bedrooms, a bathroom and a laundry room.